Last week, the overseeing of The Big Sail Skipper training & Yachtmaster examinations took me back to my own experience, just a few years ago. After sailing thousands of sea miles through blazing sun, howling winds and torrential rain, I was finally ready to take on the mighty RYA Yachtmaster exam. The RYA Yachtmaster qualification is the pinnacle of yachting ability and holding the certificate gives a skipper world-wide recognition that he or she can sail to a very high standard, managing a yacht and crew safely. My exam was certainly testing. I remember looking at my watch and discovering that it was gone 2am, a full 15 hours after the exam had begun, and most of those hours seemed to have been spent sitting in the freezing cold and pitch black. As the fog rolled in thick, all I wanted to do was to turn on the GPS, motor home and head to bed. But this is was a Yachtmaster exam. That means no bed, no motor and definitely no GPS. Things had to be done ‘the proper way’. According to the Royal Yachting Association, ‘an RYA Yachtmaster needs a wealth of knowledge, not only to cope with plain sailing or motor cruising but also to be able to cope in demanding situations.’ In other words, you have to be prepared for anything. So what exactly do we look for in a Big Sail skipper? The Yachtmaster certificate is a fantastic benchmark for us when we are looking to hire skippers. However, if you can sail – you can sail. We are firm believers that certificates are not the be all and end all. All of our skippers are selected because they are highly competent and have an in-depth knowledge of the waters around Athens. So, formally qualified or not, we have our own criteria that all skippers must meet before being considered for a place in our close-knit team. We look for passionate, experienced and friendly people who have a fantastic attitude to safety on board a yacht. The main role of a skipper is to be in charge of the safety of the yacht and the guests on board. They are also expected to make sure guests have a perfect holiday, by recommending the best beach stop-offs and the best bars in each town, as well as teaching guests the basics of sailing. We are a huge believer in teamwork and we look for people with unique talents and skills on top of their sailing ability – whether that be photography, engineering, medical training or events organising. Ultimately, we hope that all of our skippers will become one well-equipped, fun and friendly crew! To apply to become a skipper please follow the ‘work with us’ link at the bottom of the page. 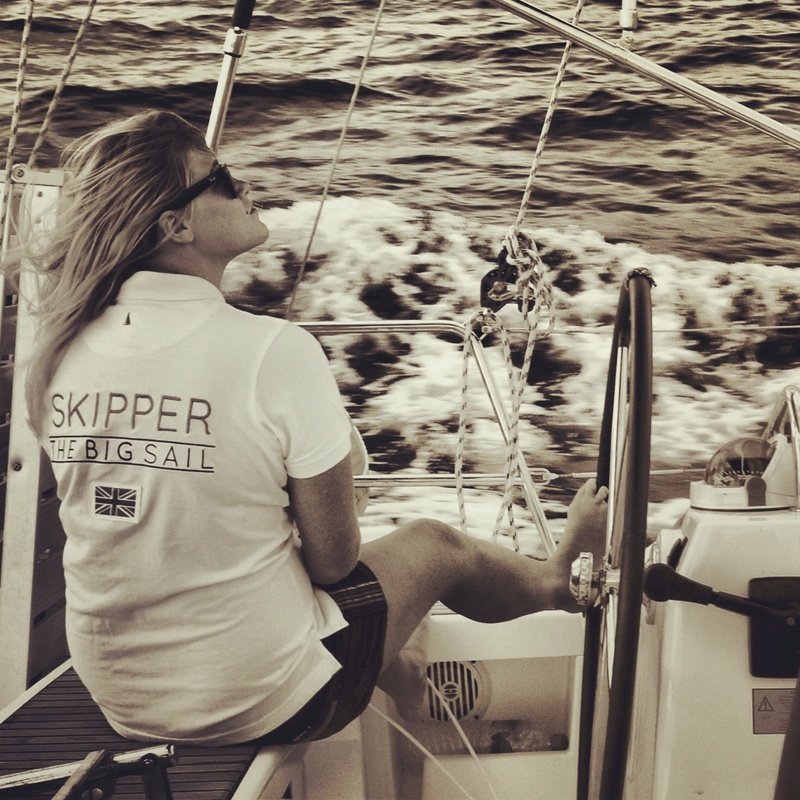 Stay tuned for a blog post next week, where we will be interviewing all of the skippers working for us this year!